David J Porter was born and educated in Cheshire. He is a self taught painter and most of his subject matter, particularly landscape is often inspired by the Cheshire and Derbyshire countryside. He has also produce a series of paintings which reflects periods spent in Europe. 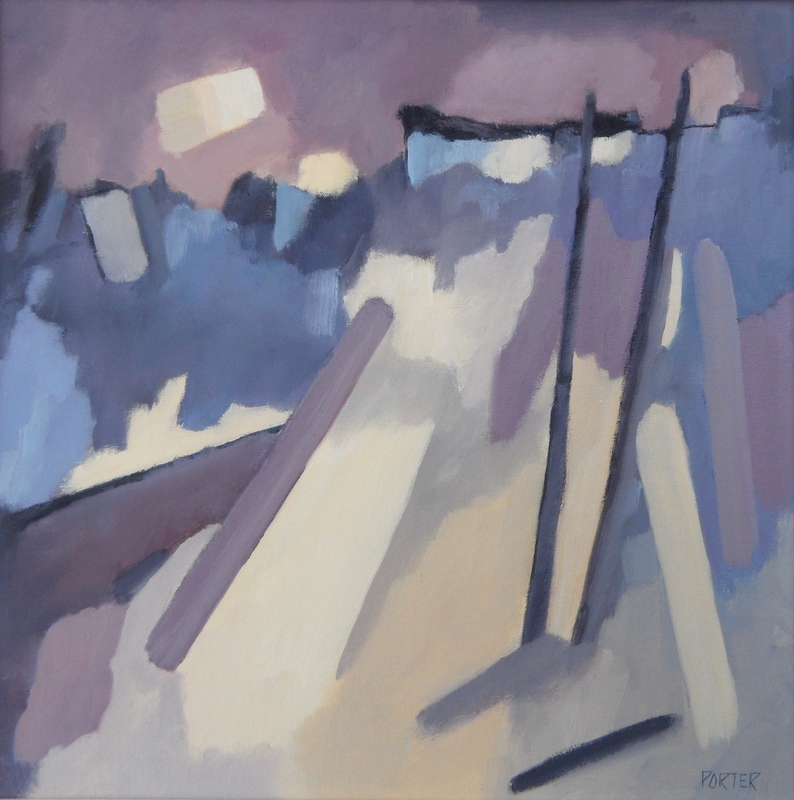 His perception of colour and tone gives his work a calm, quiet quality. A great walker, David likes to make small sketches, often in colour, while he is observing the landscape. It is when he returns to his studio that the creative element is added to his work. Drawing on his experience of the landscape he has seen, he begins to compose his painting. He abstracts the uneccessary from the picture and moves shapes and colours around to create a pleasing balance. This style of working results in the semi abstract landscapes that are his forte. His preferred medium is oil paint. He has exhibited in both solo and group exhibitions at Salford, Stockport, Stalybridge and Oldham Art Galleries as well as the Laings Open Exhibition and many private galleries in the UK. His colourful and sensitive representation of landscape has become very popular with collectors and his work is held in private collections throughout the UK, Europe and Australia.